The C500 Key safe is the only Key Safe in the UK which is Police approved. The C500 has achieved an independent security rating. 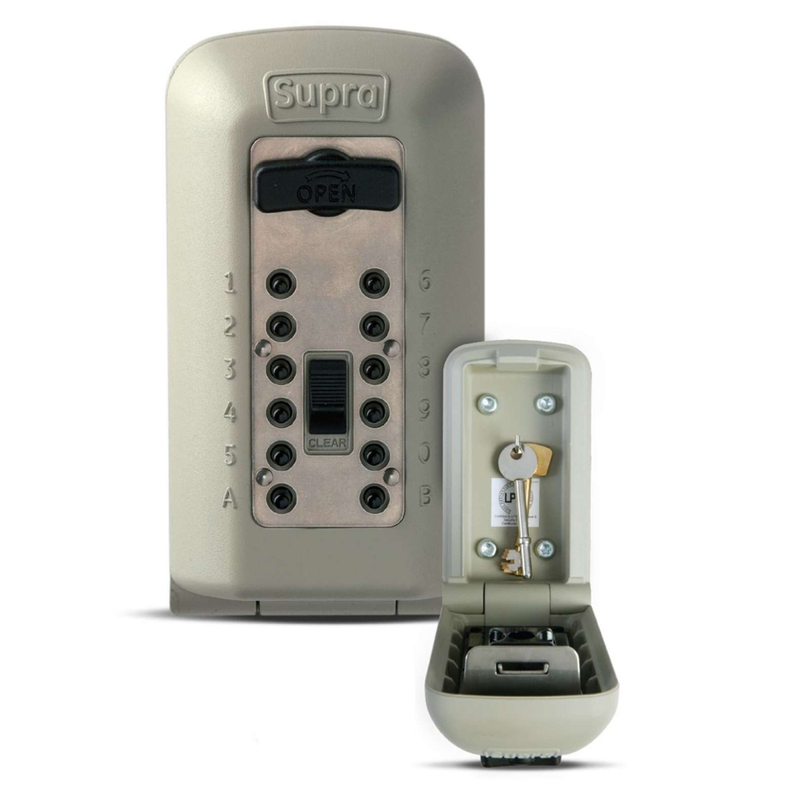 The Supra C500 is the UK's only police approved key safe and is a secure method of externally storing keys to your property. The key safe is discreetly secured to the outside of the property and spare keys are simply accessed using a push button combination. It is the only KeySafe to achieve LPS 1175 level 1 security rating which means it has undergone a series of rigorous and demanding tests. When installed as directed into brick or dense concrete the Supra C500 is as attack resistant as a domestic front door. Features an intergrated hook to ensure easy reach access to keys (65mm from hook to base). Please note that to maintain the Police Accreditation the C500 must be installed into brick or dense concrete, NOT breeze block or mortar.